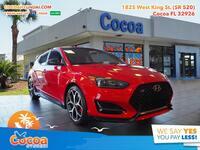 Buy from a family-owned Hyundai dealership near Viera! 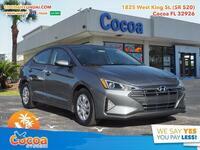 The answer to your automotive needs in Viera, FL may be a Hyundai. 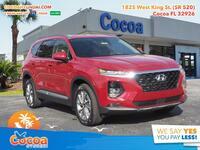 They make a model for every need, and at Cocoa Hyundai, we give you an option away from Orlando. Don’t drive into the big city to get a great car. 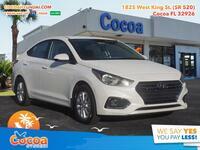 Get a great car and a great experience right here at Cocoa Hyundai. 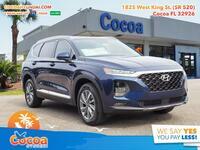 We have the new Hyundai models in Viera, FL that you need. We’re just a short drive away in Cocoa, FL and we can’t wait to give you the car-buying experience that you deserve. The Santa Fe offers plenty of room for up to five with room for all your cargo too. Whether you take it golfing or grocery shopping, this crossover may be perfect for you in Viera. The Kona is a smaller and more compact crossover that is ideal for many Viera drivers. It has the latest in Hyundai features and a style all its own. Get behind the wheel and try it for yourself. Not looking for a crossover? Would you rather have a sedan? Then Hyundai has options for you there too including the spacious and fully-featured Sonata. Try one near Viera today! The Santa Fe and the Kona are just the beginning when it comes to SUVs and crossovers. Hyundai also offers the Tucson and the upcoming Palisade. 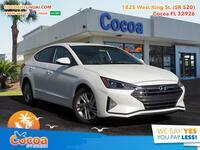 When it comes to sedans, in addition to the Sonata, Hyundai offers the Elantra, Accent, and Ioniq Hybrid. Want a hatchback? Hyundai has those too with the Veloster and Elantra GT. Financing for those with bad credit. A three-day exchange program. Return your car for something else if you don’t like it. Body shop and service center. Every new Hyundai comes with free oil changes for life! Every new Hyundai also comes with our One Million Miles Plus Powertrain Warranty! What’s more, we are family-owned and locally-operated. This means when you buy from Cocoa Hyundai, your money stays in the community. Reach out to us now using the resources on this page, and we’ll be happy to help you get the car that you need.